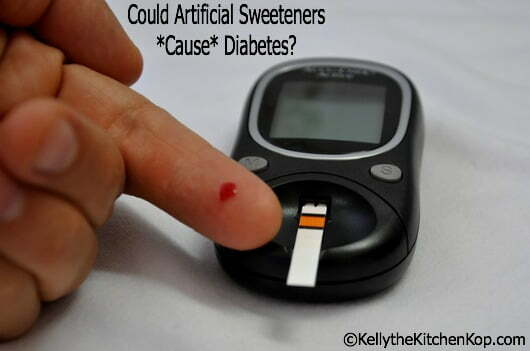 Sweeteners for Diabetics: Could Artificial Sweeteners *Cause* Diabetes? 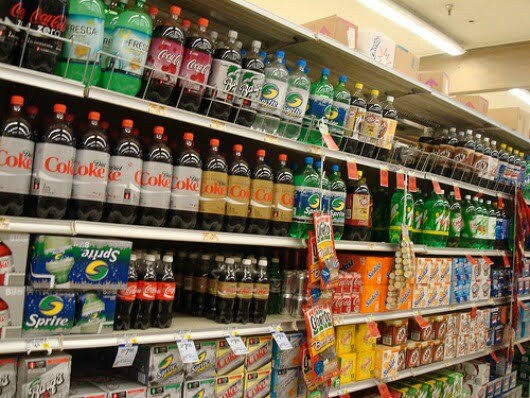 People often ask me, “Which is better, regular soda or diet pop?” I always answer, “Which would you prefer, heart disease or cancer?” The high fructose corn syrup in regular soda does a terrible number on your triglycerides, which cause inflammation and shoot your heart disease risk sky-high. (Read more: The TRUE Cause of Heart Disease.) The fake chemical sugars, preservatives, and other nasties found in diet soda can't be safe (except for the artificial sugars, those are all in regular soda as well), and it's just common sense that these ingredients not recognized by our bodies, along with the other junk in our food supply, should not be part of our diet. For years, researchers have been puzzling over the fact that non-caloric artificial sweeteners do not seem to assist in weight loss, with some studies suggesting that they may even have an opposite effect. Graduate student Jotham Suez in Dr. Elinav's lab, who led the study, collaborated with lab member Gili Zilberman-Shapira and graduate students Tal Korem and David Zeevi in Prof. Segal's lab to discover that artificial sweeteners, even though they do not contain sugar, nonetheless have a direct effect on the body's ability to utilize glucose. Glucose intolerance — generally thought to occur when the body cannot cope with large amounts of sugar in the diet — is the first step on the path to metabolic syndrome and adult-onset diabetes. No big surprise, it's all related to gut health — isn't everything coming back gut health nowadays? 70 percent of the cells that make up our immune system are found in the wall of the gut, so once we mess up our gut, it can affect everything in our bodies. Whether you become more prone to developing diabetes, heart disease, cancer, auto-immune disorders, anxiety and depression, or whatever your health issue may be, the answers to all of these are to A. Not damage your gut in the first place (by eating traditional foods including plenty of healthy fats, avoiding processed junk and fast food, taking cod liver oil, etc. ), and B. Making repairing your gut on top of your priority list if it's already damaged. What do you think, will it really make a difference? Many in my family have diabetes. My Mom just died of cancer. Kent's Dad had heart disease and Alzheimers. We don't eat perfectly around here, but will eating better than most really make a difference? I wish I knew, but it's certainly worth trying, though, because as I've said before, it's not like eating this way is a hardship. I slather butter on everything! We enjoy meals like roasted chicken dinner with mashed potatoes and gravy often! Check out all my recipes to see what else we eat around here, it's not a deprivation, we're eating home cooked meals like families have for centuries before these last few decades where mystery meat and processed foods have come on the scene. 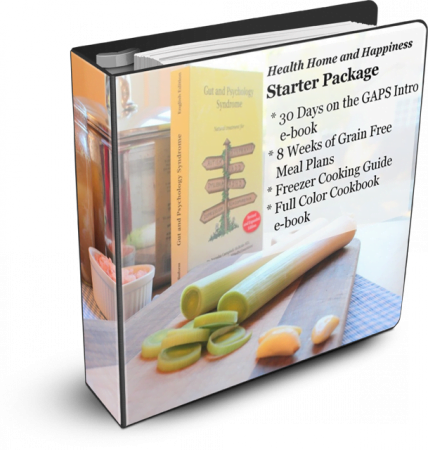 If you need help getting on track or getting back on track, read more about my Real Food for Rookies online class, or get my Real Food Ingredient Guide. Hi Nina, you could use a little raw honey, maple syrup, Stevia, or even just a little coconut sugar. They all have sugar, and only a little is best, but at least they’re a real food, not a chemical. Hope that helps! When I went to a diabetic class I was shocked at the type of ‘snacks’ they served and the information from the ‘nutritionist’ who also seemed hostile to anyone who asked questions about healthy eating (whole foods, etc). Wow. When I was pregnant, I had gestational diabetes. I know it’s not the same thing, but when I tried artificially sweetened things, it made my blood sugar spike big time. I just learned to eat my sweets in moderation. i have been using muscavado (mascavo here in Brazil). i will try also to grate rapadura – a solid block of whole cane sugar. i think a small amount of these sugars, always taken with a goodly amount of saturated fat, is not prejudicial in any way, unless the person is diabetic or something. The irony here is sickening, isn’t it? Thanks for helping bring awareness to this, Kelly. My mom is going in for a heart cathaterization (sp?) right now. She did notice though when she would check her blood sugar that it was pretty high after consuming sucralose products. It would raise her blood sugar higher than regular sugar. I do avoid artificial sweeteners like the plague! !